Why would they do this to you salsa? Noooooo! One time, at a Hawaiian themed buffet, I loaded up my plate with chocolate pudding, put a big spoonful in my mouth, and discovered that it was actually sour poi . Until now that was the most shocking food surprise I’d ever had. 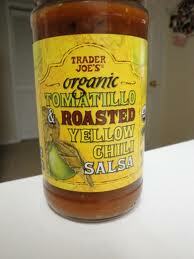 Having tried Trader Joe’s Corn and Chile Tomato-Less Salsa, that is no longer the case. This salsa, or “salsa” I should say, and I hope the judicious use of italics and quotation marks conveys my dubiousness, is incredibly sweet. Sweeter than most confections, in fact. Sugary sweet, corn-based salsa. I’m going to say that again, in case you haven’t thrown up in your mouth yet. 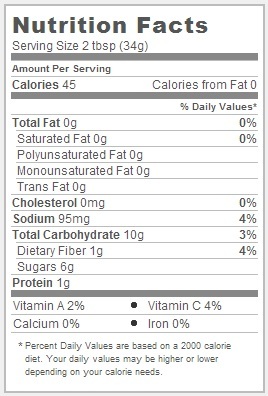 Sugary corn salsa. This is really a very crazy and very unpleasant thing for me to write about. Know, first of all, that I love salsa. I love salsa in, I thought, all of its many forms. I love it all the way from the simple jar of mild Pace picante sauce to the artisanal batches of peach and mango salsa. 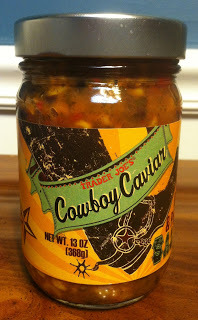 I liked cowboy caviar, I liked papaya and mango salsa, I thought I would like this as well, but I never imagined they would just out and out make a super sweet, barely spicy, salsa. I’ll admit I shouldn’t be so surprised – they do mention it on the label after all, “A sweet combination of corn, red peppers and onions” they say. But this sweet? 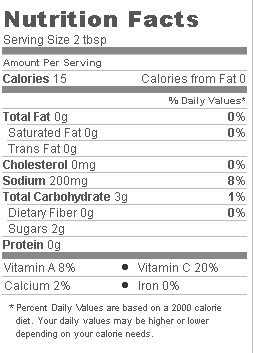 This sugary? 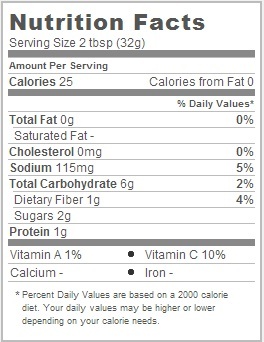 That is the sort of information that shouldn’t be hidden in a small font under the title – it should be called out in huge letters proclaiming “WARNING: This salsa is 20% sugar by volume” or more to the point “WARNING: This salsa is really gross tasting”. It’s really hard for to stress how sweet this salsa is. Think syrup, then take it up a little bit. The whole kernels of corn, which are otherwise fine, are suspended in what is essentially a clear, simple syrup, mixed in with some minced onion and red pepper. Really, what we’re talking about is a very nice, very mild corn salsa that someone decided to ruin by pouring a ton sweetener into it. I really don’t know why anyone would do this or, more accurately, I don’t know why you would do this and call it a salsa. I have nothing against gross tasting condiments, they just need to go by their proper name – relish. 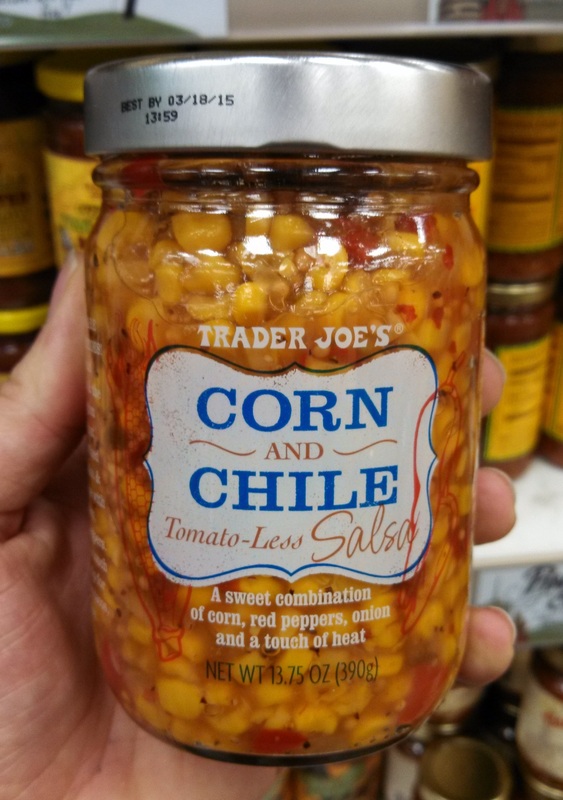 Despite Trader Joe’s labeling here, this is clearly a corn relish, not a tomato-less salsa. If it had been billed as such, I wouldn’t have undergone the eye-popping surprise I experienced when I dug my first tortilla chip in and took a big bite. Instead I would have spooned a tiny amount into a sandwich and experienced it that way. Would I still consider it gross? Most definitely, but relishes, like ajvar, get the sort of leeway that salsa doesn’t. At the end of the day, I don’t suppose it really matters. If you’re one of the dozen or so people world wide that find themselves constantly spooning sugar onto their corn because it isn’t sweet enough, this is for you. For everyone else, I’d recommend taking a miss on it. That said, a shocking 14 million+ jars of this stuff have be sold by Trader Joe’s as of this post, which boggles my mind and makes me question my place among humanity. Please, if you enjoy this “salsa”, let me know in the comments and explain, if you can, its appeal. Would I Recommend It: Never. Would I Buy It Again: At gunpoint…maybe. Final Synopsis: Think very sweet, corn relish rather than salsa. This little pot of salsa enticed me with it’s name. Most any time a food product puts three or more adjectives in it’s title, I can’t help but be enticed by it’s purported charms. Sometimes this works out, but far from always. Today I was unable to resist, and sat down to give it a shot. The packaging proclaims that it has a mild zesty flavor, and it very much does so. 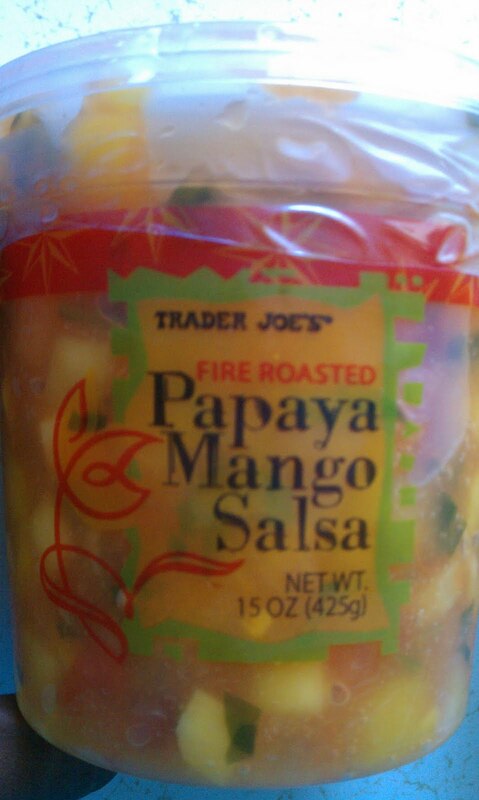 It’s a tremendously mild salsa, a bit more burn than our papaya-mango medley, but not by miles or anything. This is a very fluidy salsa, without even chunks of onion or pepper to mix things up. The packaging also pitches the salsa as a potential “spread”, and it could certainly go over your bread without much trouble. Is it worth the effort though? There was one taste in particular I kept being brought back to as I supped my way though this slurpy sauce – the Spaghetti-O’s of my youth. Between the loose, tomato-puree base of the salsa, and the somewhat tangy, somewhat zesty herb choices, my tongue was repeatedly thrown into a flavor flashback. While it wasn’t exactly bad, for me this wasn’t what I was looking for in my salsa, nor what I was expecting from such an elaborately named sauce. 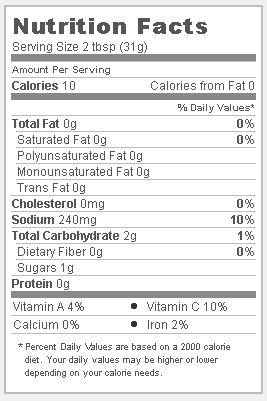 Would I Recommend It: To those in search of a good mild, tangy salsa. Would I Buy It Again: Not to my liking, thanks.